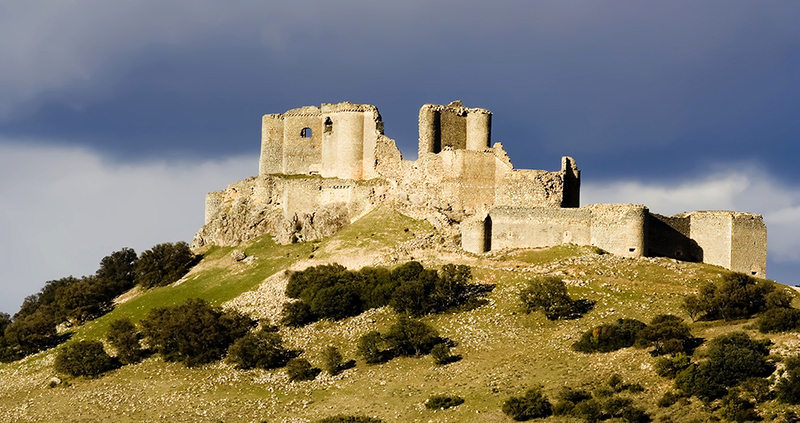 It is a 12th century castle with reformations from the 14th century, which allows us to see the stables, rooms and interior elements of these types of fortresses, usually now gone. 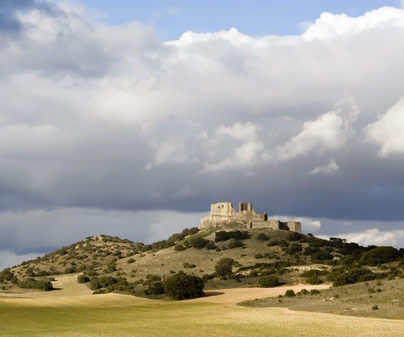 The castle is composed of three enclosures, a first trapezoidal wall, a second passage space, and the third, the oldest part, which leads to the residential, storage, and military use areas. It has stables, four vaulted areas below the central patio, which surrounds the cistern, which is waterproofed with red mortar, typical of Arab constructions. The patio was arcaded. From the patio we can access the plasterwork room, where Renaissance friezes were found. The archive of the Order of Saint James, who possessed it, affirms that it was constructed in 1177. It has had illustrious owners, such as the prince Don Juan Manuel, the cardinal Gonzázlez de Mendoza, who reformed it in the 14th century, and the princess of Éboli, in the 16th century. Access is free to the visitor.